I'm starting the weekend massively overexcited by the news that The Reflex has finally made his absolutely killer Re√ision of MJ's 'Rock With You' available for free download via Soundcloud. The track first emerged following a chance meeting between The Reflex and Gilles Peterson through DJ Day, who mentioned to Gilles that he had an edit of 'Rock With You' and that he'd 'done a little thing to it'. Understatement of the year probably. The Reflex is famed for taking the master stems and re-imagining the studio recordings for a new generation. And this has to be his finest effort to-date, stripping the 1979 original back to bring greater emphasis on the timeless vocal, Rhodes melody, rhythm guitar and orchestral section, as well as beefing up the classic disco drum pattern. 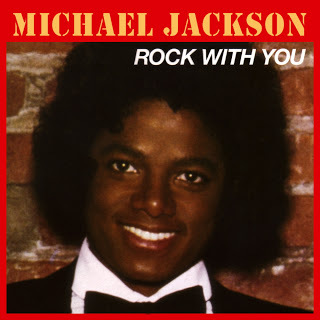 Unfortunately, the only omission from this version is the intro as played by Gilles on Radio 6, which featured an original guide vocal for Michael as sang by its writer and former member of Heatwave, Rod Temperton. Still, this has to be one of the greatest edits of one of the greatest soul/disco records of all time. Simply brilliant. SLL Feature : The MP3 - What Next?